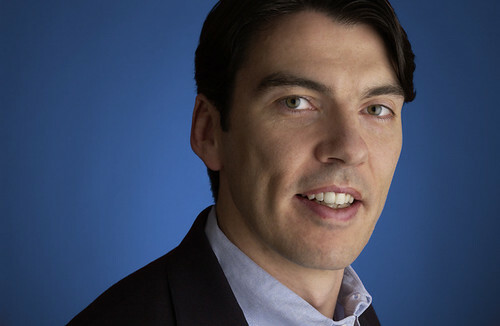 AOL’s new CEO Tim Armstrong has spent the past few months reorganizing the company and snatching up unemployed journalists. Under the former Google exec, AOL has gotten more headlines for its publishing business than its advertising platform, and according to Armstrong that should continue. Speaking at the IAB MIXX conference in New York Monday, Armstrong laid out his plans: AOL wants to be the Disney of the digital era. While Armstrong notes the importance of search in the online space over the last decade and going forward, he thinks the next growth area will be content. (And Google would seem to agree – the search giant just launched its own display ad exchange last week). Coming in to analyze AOL, Armstrong noted that the company was in a great place to develop a strong publishing business. And while the dial up business may not be the future of the company, the traffic it has provided AOL properties is an asset that Armstrong plans to exploit. With AOL going into its 25th year of operations, Armstrong wants to emulate Disney’s attention to detail with its content and become a brand trusted for its quality control. On other fronts, Armstrong is interested in local advertising, saying that he has seen a real lack of investment in that space but it will be a big area for AOL. And while dial up may not be a growth business, AOL Instant Messenger will be moving forward. It will be incorporated into a product called AOL Livestream that will organize different online messaging platforms in one place. Starbucks may have foisted the fabricated need for half caf soy no foam lattes on the American populace, but now that the country is accustomed to making finnicky caffeine orders, the company is trying to reassert its dominance on the caffeine market. And today the company announced an iPhone app that may help it get ahead of the curve when it comes to technology. 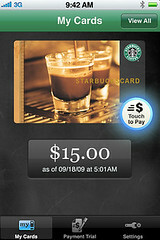 While Starbucks may be late to the iPhone app party, the company is making up for its tardiness with some caffinated leaps forward in the field of mobile payments. When it comes to the desktop, Flash Player is one of the more dominant plugins. Adobe claims it’s “the world’s most pervasive software platform…reaching 99.0% of Internet-enabled desktops“. There’s just one problem: internet-enabled mobiles are where much of the internet’s future growth is usage is expected to come from. But Adobe is trying to make sure that Flash Player is as dominant on the mobile as it is on the desktop and is making lots of announcements about its Open Screen Project at the Adobe developer conference in Los Angeles today. I recently posed the question of whether or not the motor industry was making the most of social media to engage with customers and promote its products. dealer showroom without already having scoured the net.